German sport luxury brand Audi has played a strong role in helping to shape consumer tastes and influence the entire European touring market. For nearly 100 years, the Audi brand has been synonymous with producing high quality, reliable, and well engineered vehicles. An odd start almost scuttled the companys plans, yet today Audi has risen above adversity and is producing cars that are world renowned in quality and engineering. By 1910, Horch himself was booted out of the company that sported his name so he set up shop elsewhere and began to sell cars under the Audi moniker. Originally, Horch tried to use his family name, but German courts ruled against him thus the Audi name was selected instead. In German, Horch means hark and the word audi is the Latin translation of horch/hark. So, although he could legally no longer use his family name, the Latinized version of the same won out. Guess which name is known today? In between a pair of devastating world wars, the modern Audi company began to take shape. Indeed, the four rings logo of the company represents the union of four distinct German automotive manufacturers under the auspices of Audi. Yes, you guessed it: the Horch company that originally booted Mr. Horch was absorbed by Audi and makes up one of the four rings. August Horch lived to see that big day, but he also witnessed the dismantling of the company following the end of the second world war. Reparations was the rallying cry when World War II ended, thus the Soviet Union who was occupying the eastern portion of Germany during the postwar era, appropriated the company, took all of its assets, and by August 1948 the company no longer existed. One year later thanks to state loans and Marshall plan assistance, a resurrected Audi was back on the scene producing a delivery van and a motorcycle. Continuous growth throughout the 1950s highlighted by Daimlers acquisition of the company in 1958 fueled further expansion. In 1964, the Volkswagen group purchased Audi from Daimler and to this day Audi remains a significant part of the Volkswagen establishment. By the late 1960s, Audi began what many consider to be its historic run to the top of automotive excellence. New models were developed several of which were also marketed as Volkswagen models for that era. In 1980, Audi shook the automotive world to its foundation when it released its Quattro sports car, a vehicle with full time all wheel drive and a turbocharged engine. Instantly, the Quattro propelled the Audi name to the top of the race car world when the vehicle began to win race upon race. Undeniably, the Quattro was such a runaway hit that the model was banned from some races for having an unfair technological advantage. Throughout the 1980s and the 1990s, Audi began to produce additional models including its first premium model, the Audi V8 in 1988. 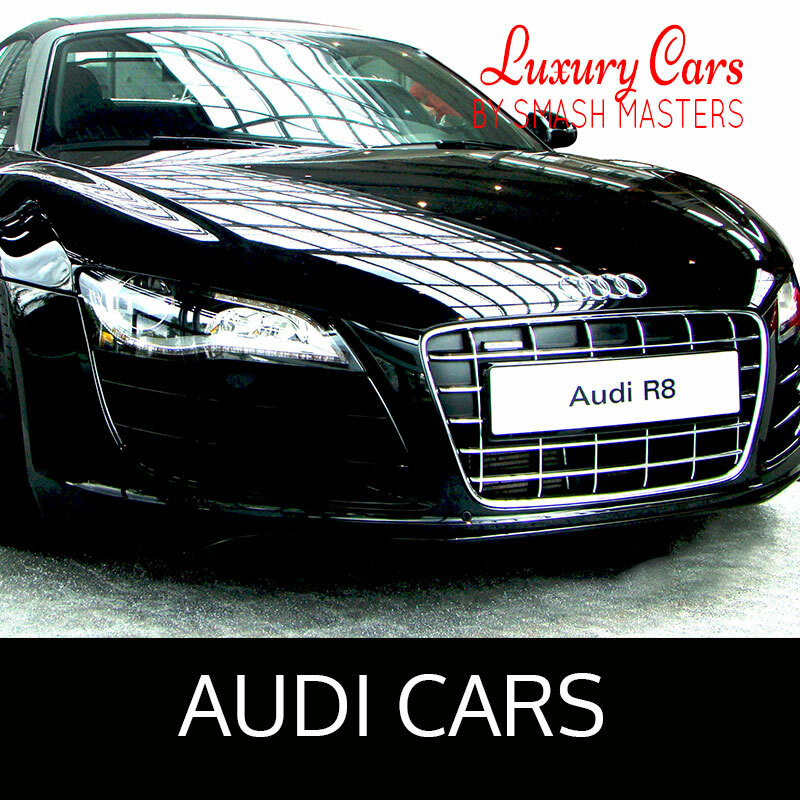 Sporting a 3.6L 32-valve V8 engine, the Audi V8 featured full time all wheel drive and a four speed electronically controlled automatic transmission. This particular model was a huge departure from earlier Audis and set the brand on a collision course with Mercedes and BMW, Germanys two other luxury brands in a bid for automotive supremacy. Today, Audi continues to expand and compete against all of the top luxury brands in the world. New technology including its Audi Space Frame all-aluminum body  known for its rigidity and improved crashworthiness  are among the highlights of a brand that doesnt settle for second best. From sedans to sport coupes to an all new SUV, Audi has a model that competes against the likes of Lexus, Mercedes, Cadillac, Infiniti, and BMW its chief competitors. That hark sound you hear is both the name of a company and the attention the brand deserves in a sea of capable premium models produced by Germanys esteemed Volkswagen Group. Yes, Audi has weathered several storms and the company appears poised to continue its thrust forward thanks to its many innovations and continued high quality.